All that comfort does come at a cost, though: heating water accounts for about 20 percent of your monthly energy bill, which adds up over the course of a year. The good news is with a little planning and some simple changes, you could shave quite a bit off those bills. In this first of a two-part post, we’ll discuss five easy ways to cut your propane bill. In Part 2, we’ll take a deeper dive into hot water conservation in your North Carolina home. Insulate your hot water pipe – Most of the heat lost between your water heater’s tank and your faucets and appliances happens in the first 6 feet of pipe leaving the water heater; insulating this span can really help reduce heat loss. Put a jacket on your water heater – If you have a conventional water heater (one with a storage tank), an insulating jacket helps keep the water you’ve already paid to heat warmer for longer (you can also avoid this problem entirely with a tankless propane water heater which heats all the water you need on demand). 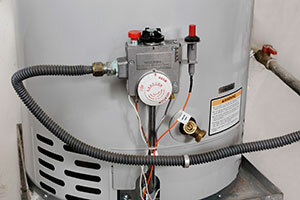 Get routine maintenance – In a traditional propane water heater, deposits build up in the tank over time, forcing it to work harder and harder to deliver the same performance. Like any appliance, it pays to maintain your water heater to maximize performance and avoid emergency repairs. Use less hot water – Of course the best way to reduce your water heating bill is to simply use less hot water. The question is how do you do that? We’ll cover more of that in Part 2 of this post – stay tuned! The best way to get more for your money with your water heater? Switch from electric to safe, efficient propane. Contact us today to find out the many possibilities for propane in your home.